I have now closed the Spanish Voiceover in London blog as I wasn’t really paying it much attention. It only had a handful of blog posts. I quite like this one, which I wrote in Dec 2011, about a job I did reading El Quijote (an abridged version of course) and it goes quite well with my A to Z of Spanish Culture project. So here it is. My last job of the year was beautiful. I got a call on Wednesday afternoon to see if I was able to do a 6-hour job the following day (such is the joy of the voiceover world, sometimes you don’t even get a 24-hr notice). To my delight, the job was narrating an abridged version of “Don Quijote de la Mancha”, that world-famous classic about a man who goes mad from reading novelas caballerescas, or chivalry novels. I also narrated a version of Moratín’s lesser known “El sí de las niñas” (literally, “The girls’s yes”), a short play from the early 1800’s, in the style of a Shakesperean comedy (the girl has been engaged by the mother to an older man, she is in love with a younger man, who happens to be the nephew…). I got to read the abridged narration and then played all the characters in a short version of the play. Can I have some more please??? I had a great time yesterday (and apparently I did a great job too!). By the end of the day, I was a little tired of the sound of my own voice but I really felt like I had been watching a couple of movies, from all the pictures I’d had in my head. Don Quijote is a wonderful book – well, the first part anyway, it then goes a bit weird. What I mean by that is that it completely changes: suddenly, the fact that a book has been written about Don Quijote is introduced, so we read about Don Quijote eavesdropping on conversations about the book. I love book-within-book novels and those where the author plays with style, but the second part seems so different, I begin to agree with the theories that the second part was written by a different author. So there I was, waving my arms around, pretending to be Don Quijote, pretending to be Sancho Panza, pretending to be the people who mock Don Quijote and those who attack him. For him and Sancho do get their share of bodily harm – I never realised what a pair of tragic figures they were. I read Don Quijote when I was 17, as part of my Spanish literature class. Like most Spaniards (and others!) 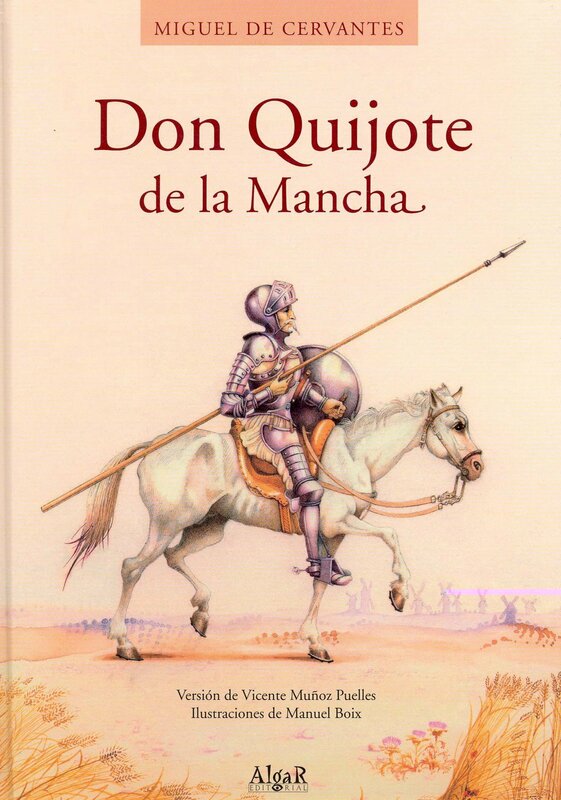 I had always looked upon Don Quijote as a boring, Spanish classic. Ok, as a really long, boring Spanish classic. Yet I loved it. Well, I loved the first part, I don’t think I finished the second. The book is so funny. Classics carry with them this reputation that they are really boring, or heavy, or just, long (which they are – long, I mean, well, most of them). Sometimes we forget that they are classic works for a reason: they are bloody good. If you speak Spanish and want to have a look at El sí de las niñas, here is the link.